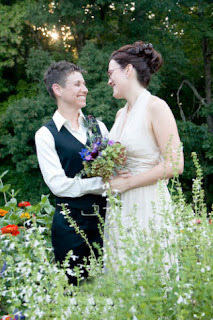 I have known Mandy for many years and when she asked me to photograph the commitment ceremony that she and her partner Kate were going to have, I jumped at the opportunity. My wife and I drove to Winston-Salem, North Carolina and stayed at the beautiful Graylyn Manor. We met up with the couple the next day and had a great time meeting everyone. 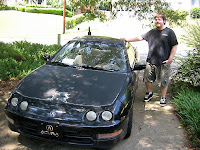 This entry is dedicated to my 1994 Acura Integra who boldly went wherever I pointed it. After sitting in the drive way for many months, my neighbor, Kyle in the photo, approached me with an interest in it. He is fixing it up so that is good. The best way to get over a lost love is to replace it as quickly as possible which I did with a 2005 Acura RSX Type S. See the Acura RSX Gallery here! I'll miss you... you rattly old clunker.